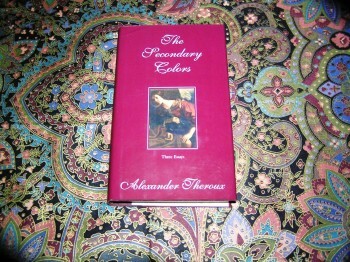 ALEXANDER THEROUX Secondary Colors 1st Ed. Shipping and Handling: All books with Dust Jacket include a Brodart style cover, while all are bubble wrapped, and boxed. Media Mail. 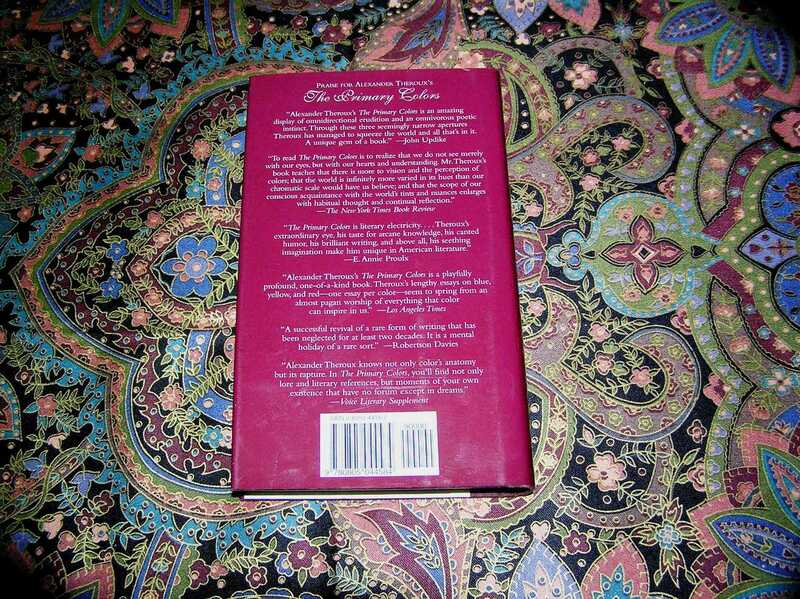 ISBN: 0805044582/Markings: Number Line 10 to 1. 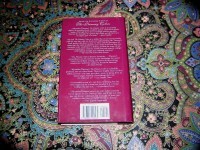 Condition: Book-VGood/Dust Jacket-Fine. 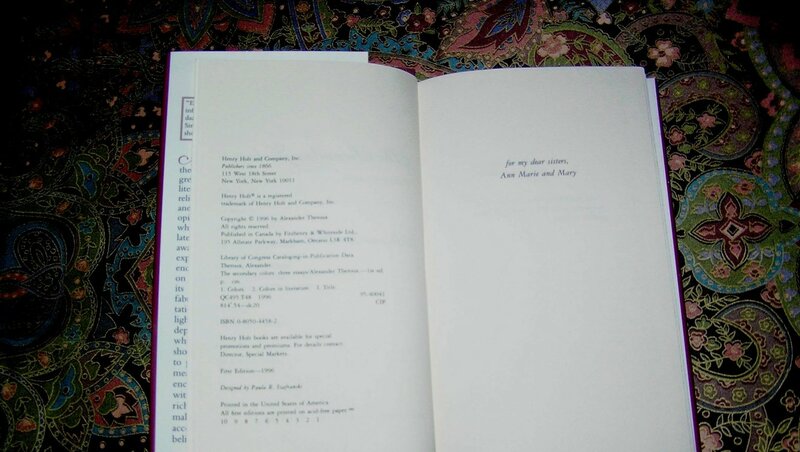 Book: Small 1/2″ streak stain on top text edge. This is not a Remainder mark. 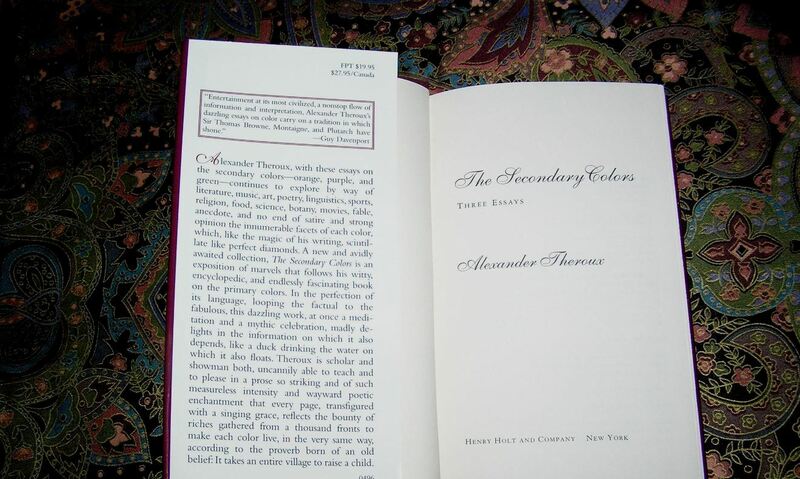 Be the first to review “ALEXANDER THEROUX Secondary Colors 1st Ed.” Click here to cancel reply.